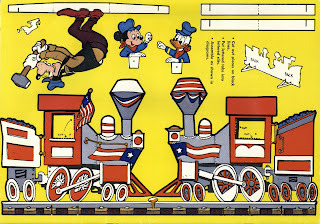 Happy Leap Year Day everyone! 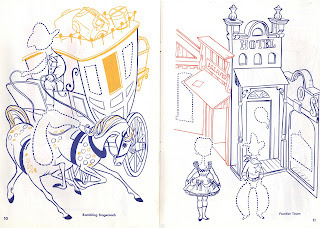 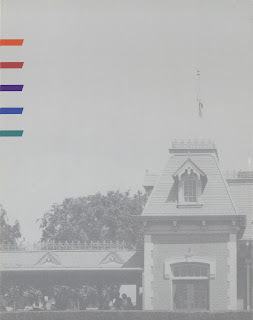 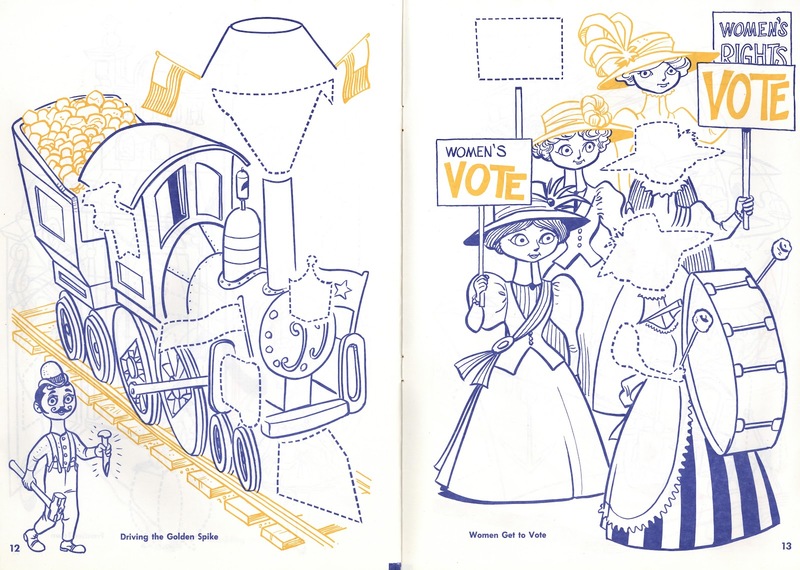 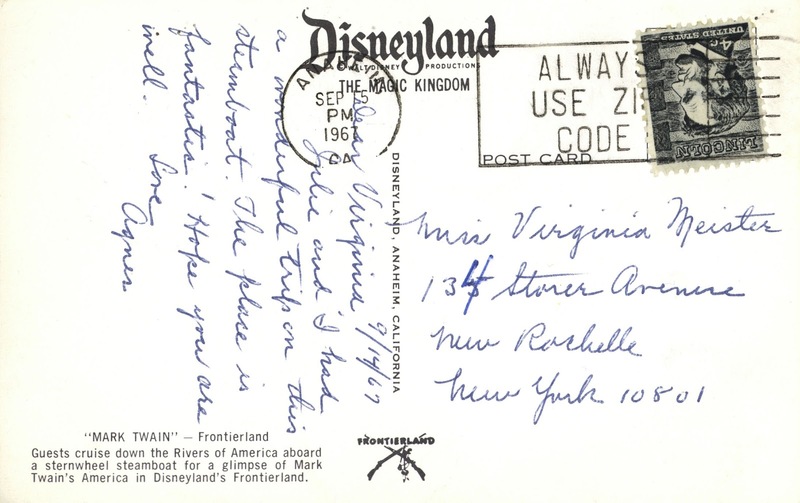 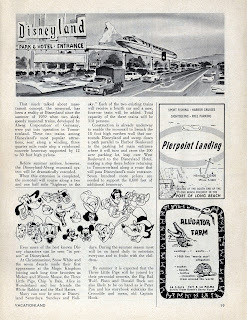 On this weird day lets take a look at what happened when Disneyland phased out its lettered ticket books in favor of the all you can ride "passports". 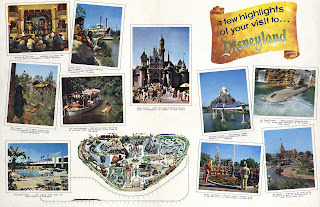 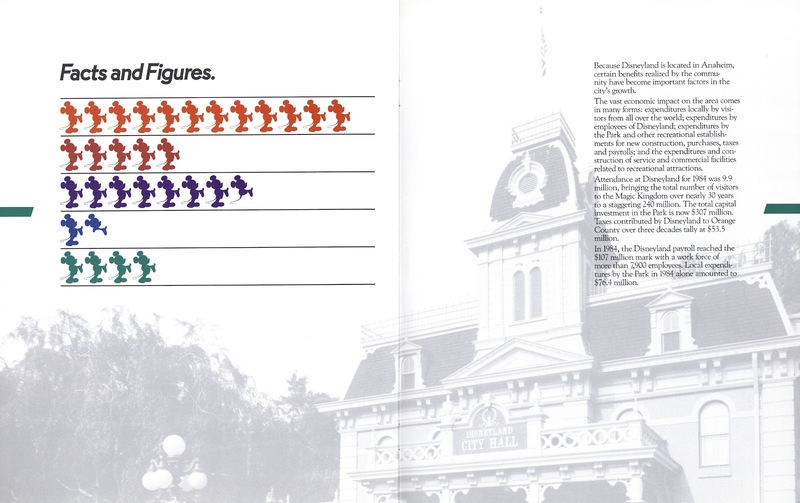 In the spring of 1982 Disneyland stopped selling ticket books, both the "A through E" type of coupon books and the Magic Kingdom Club ticket books filled with Magic Key coupons (each good on any attraction). 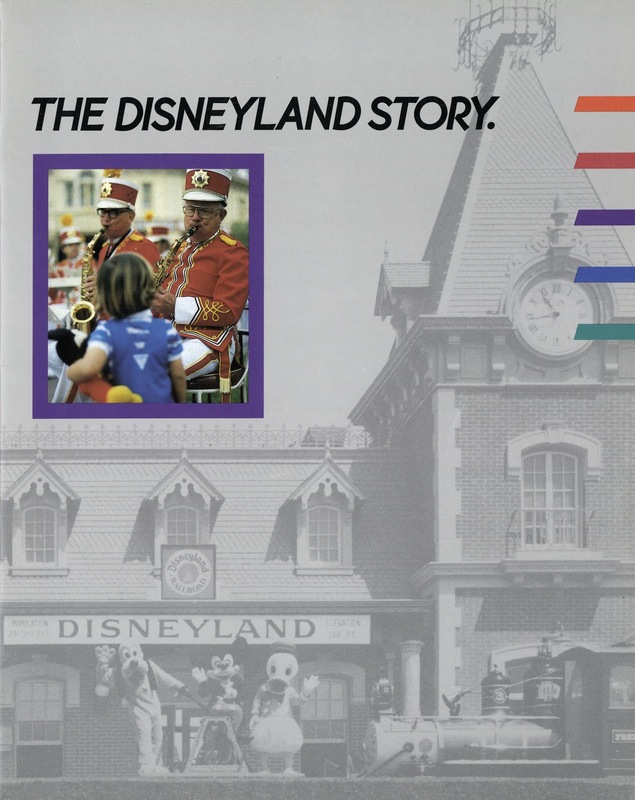 They no longer sold "general admission" tickets and switched to a "Passport" system with "unlimited" use of all the park's attractions. 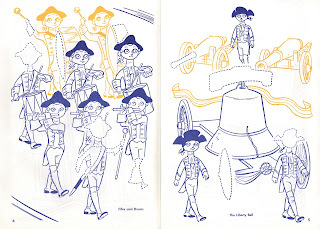 Thousands, tens of thousands, heck even hundreds of thousands (millions?) 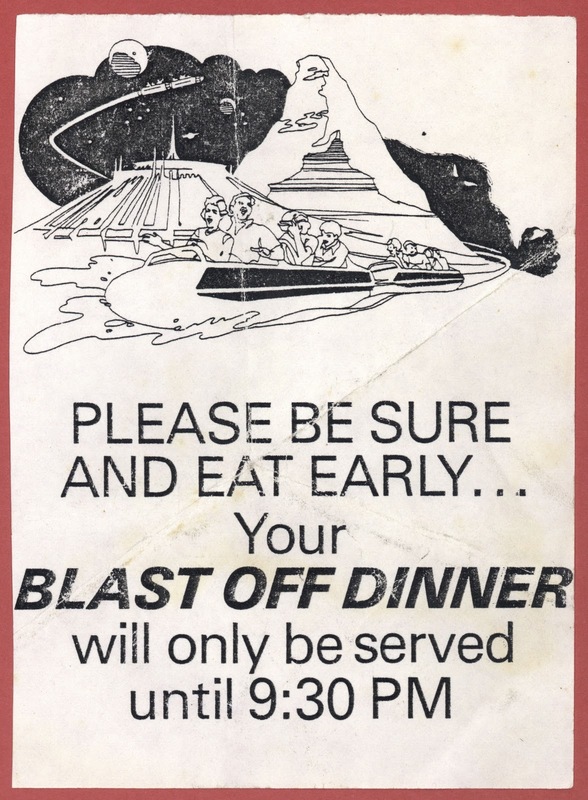 of people must have still been holding onto unused tickets in 1982 with the intention of using them one day - well, times up! 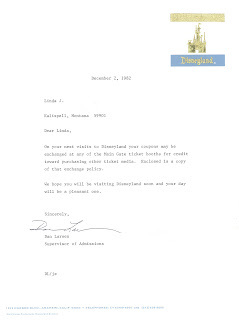 Ms. Linda J. from Kalispell, Montana was one of those "ticket holders" and wrote to the mouse to see what to do with her unused tickets or "coupons", here is the reply. 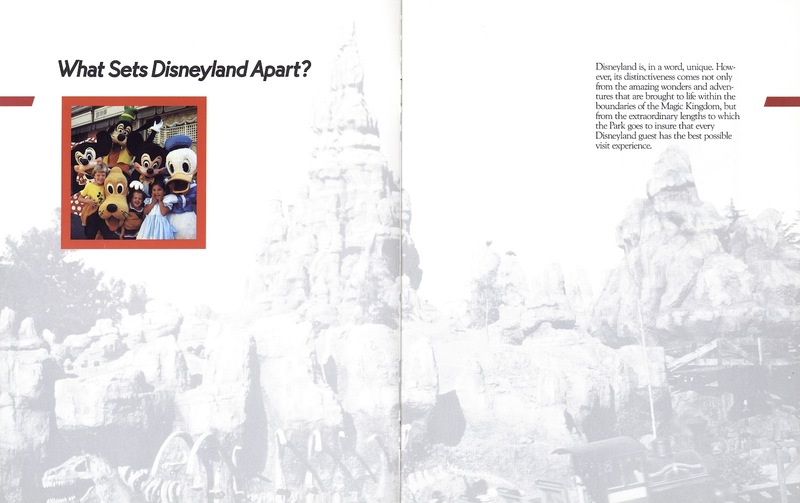 The response seems kind of simple. 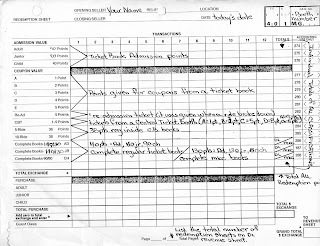 Here's the exchange policy, yes its that simple, or is it? 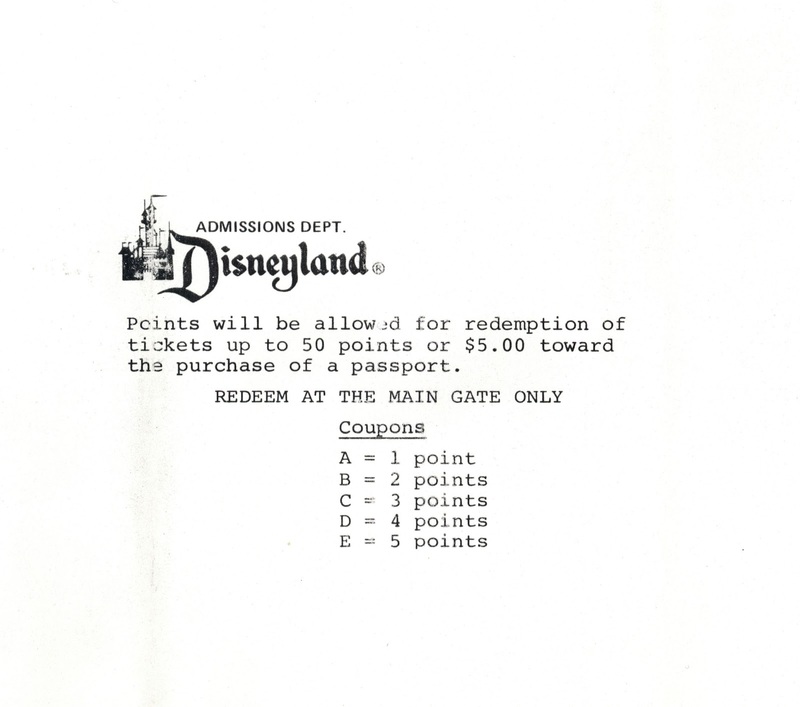 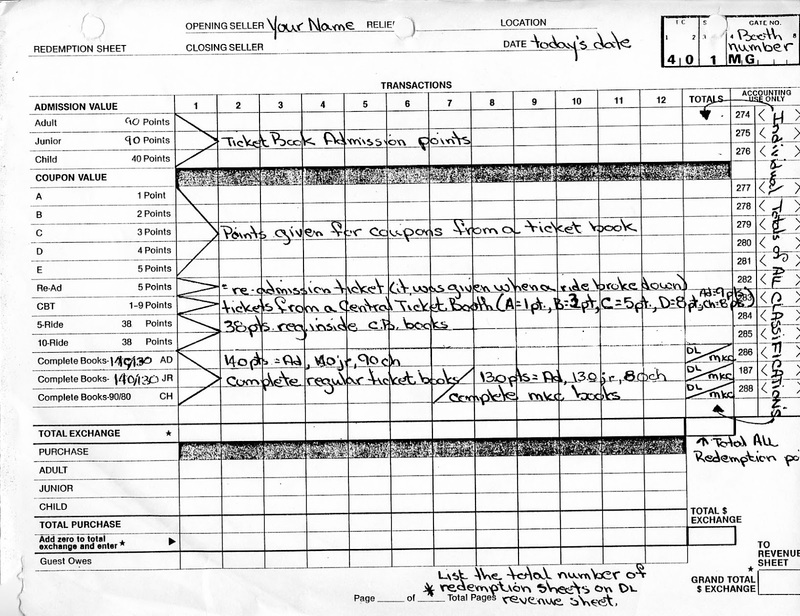 This "redemption sheet" from the ticket booth of the same period shows a slightly more complicated picture. Come back tomorrow for part 2 and see more detail, exemptions and examples on the "simple" ticket exchange program! 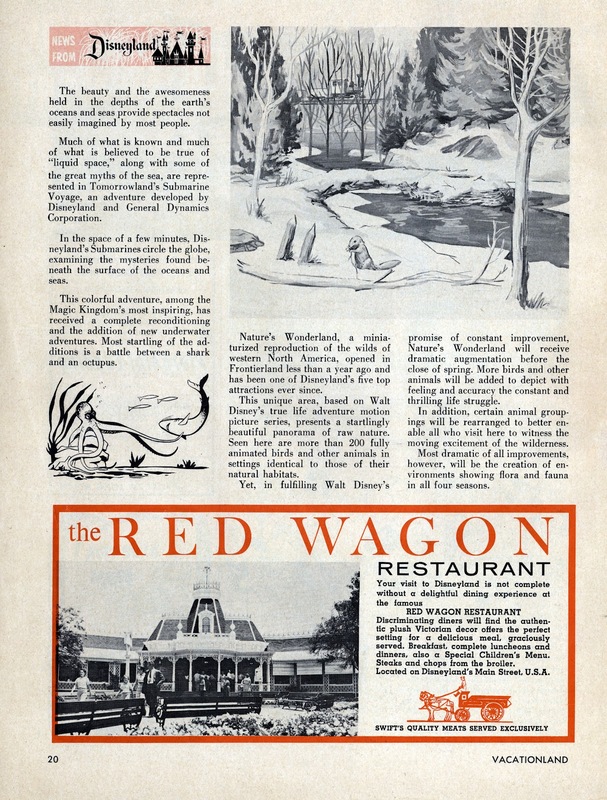 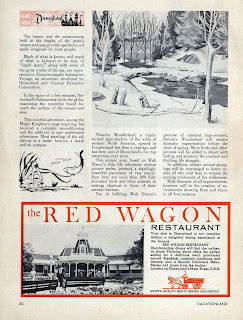 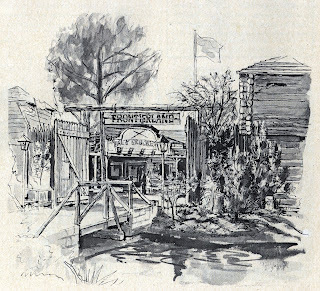 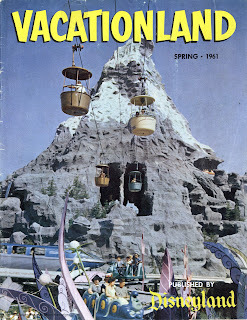 Let's take a look at a vintage Vacationland Magazine. 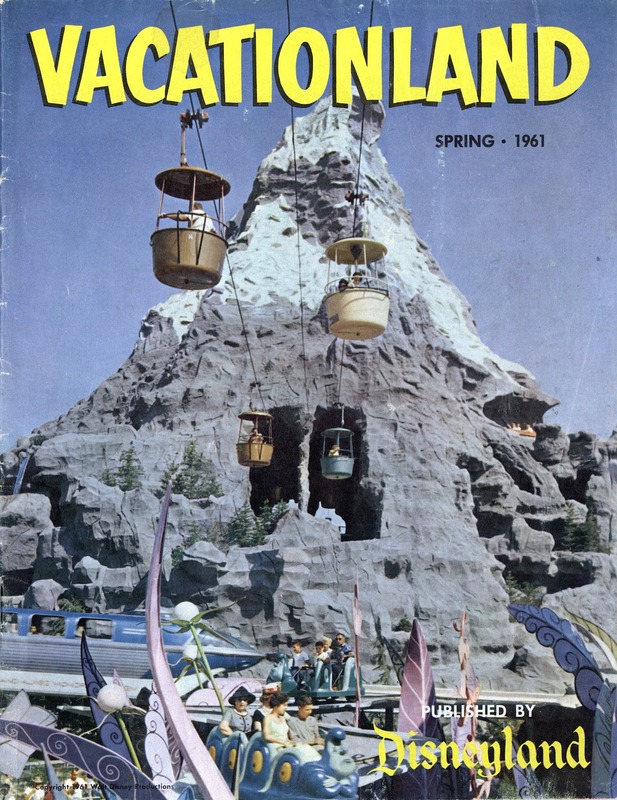 This is the oldest un-posted Vacationland in my collection, this issue is the Spring 1961 edition. 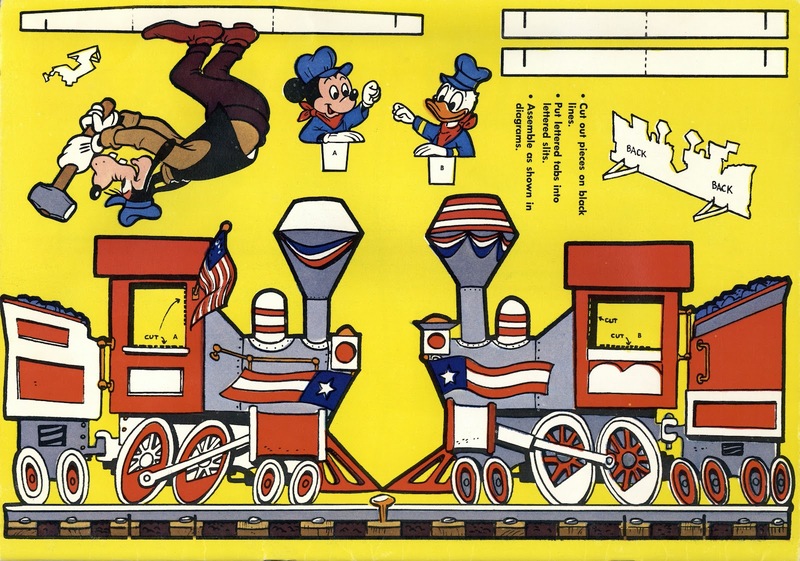 There is some super artwork in this issue. 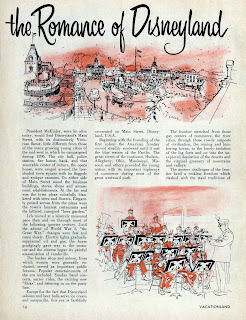 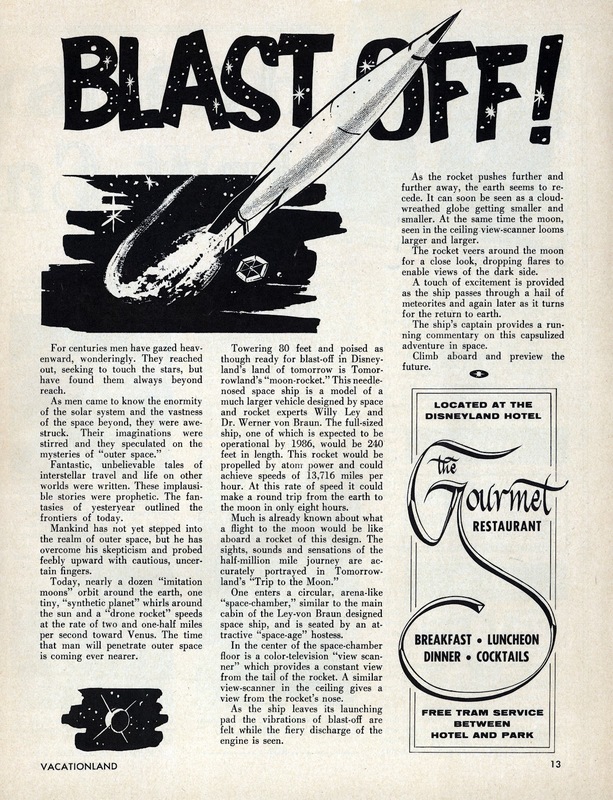 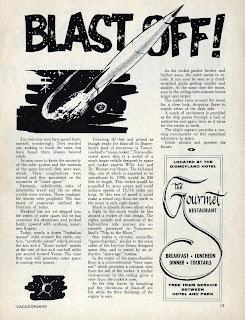 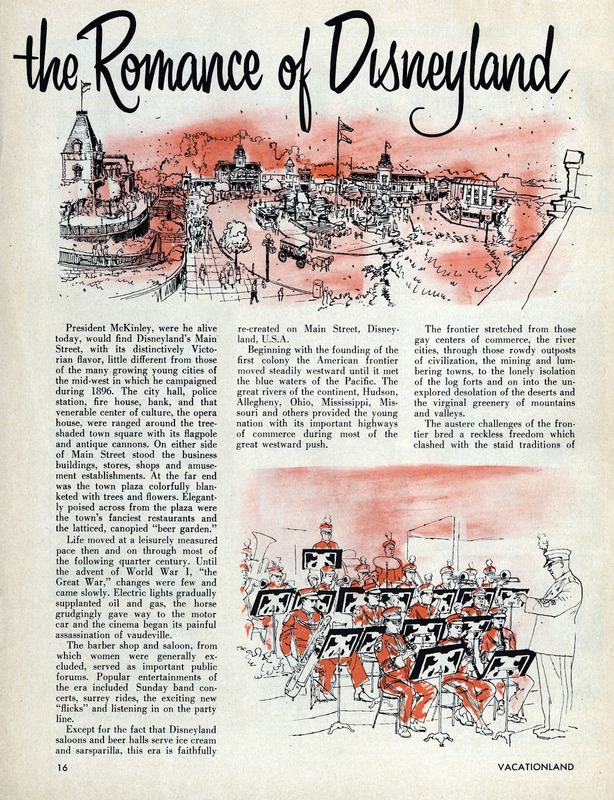 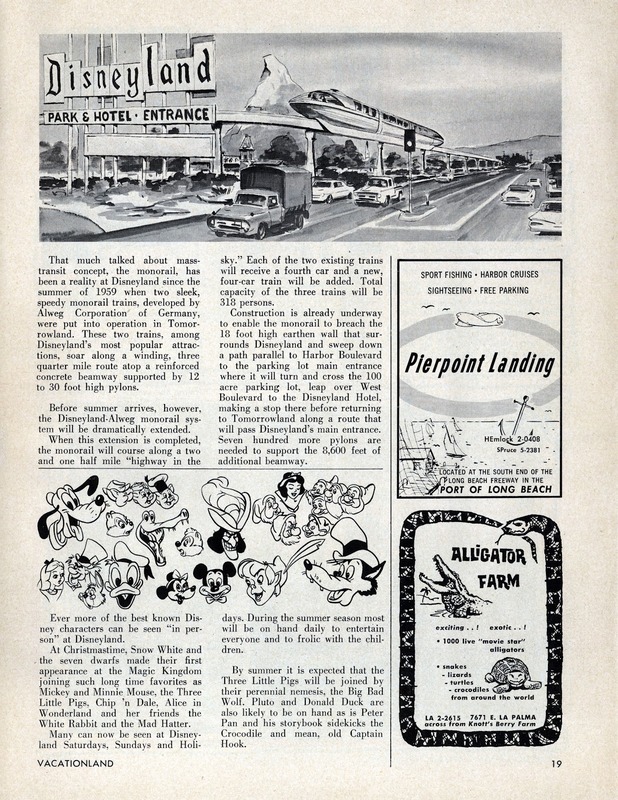 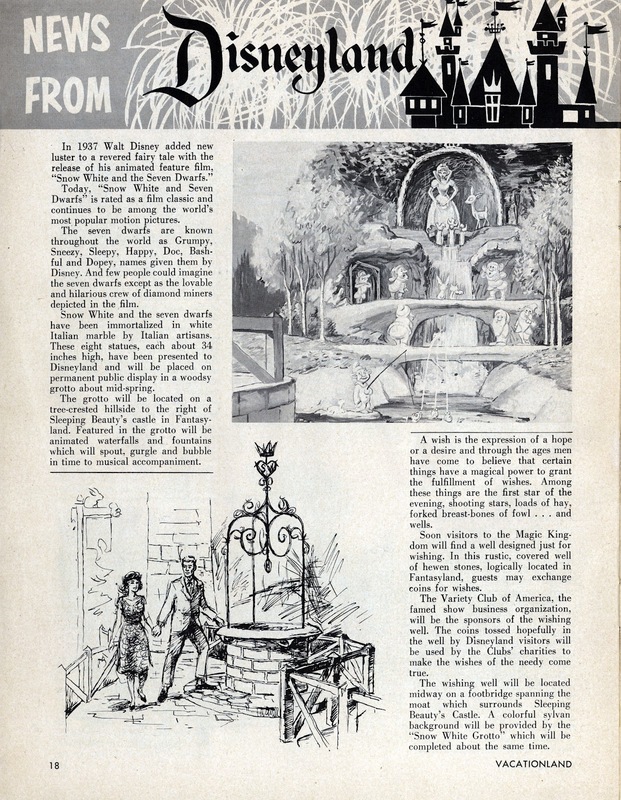 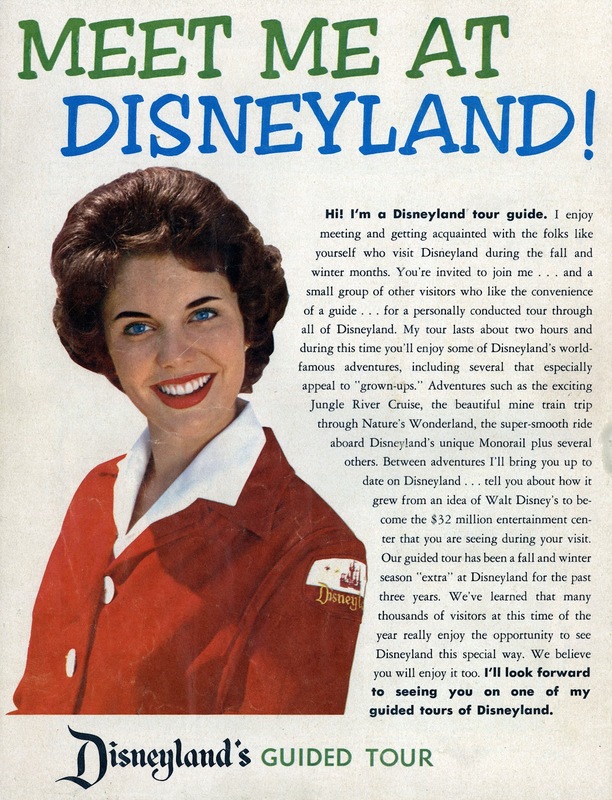 There was quite a bit of "News from Disneyland" in the Spring of 1961, three pages worth! 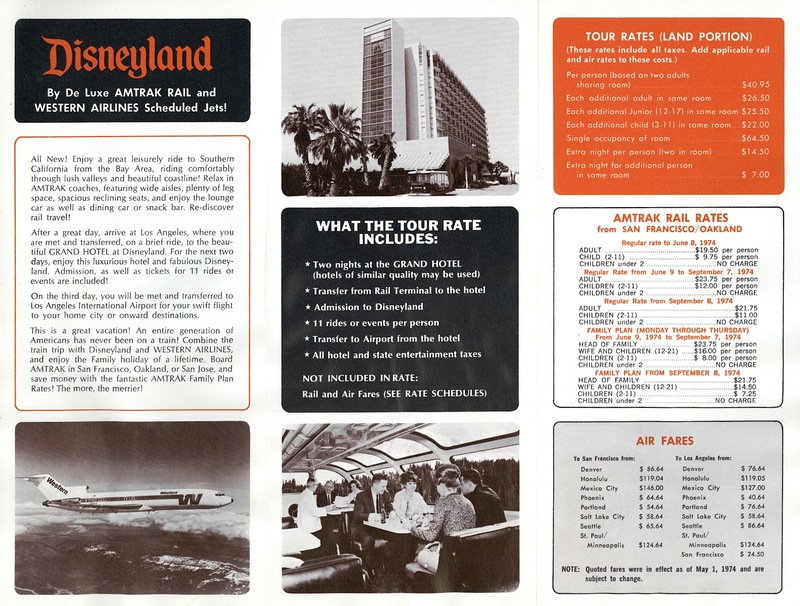 Let's take the train to Disneyland then fly home on Western Airlines! 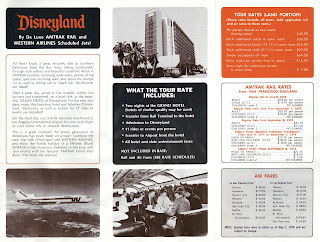 Two days of Disneyland and on day three you're got options! 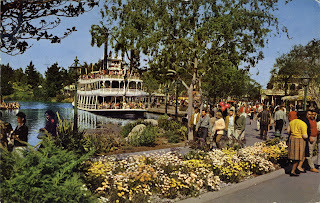 What a super picture on the front of this vintage Disneyland postcard. 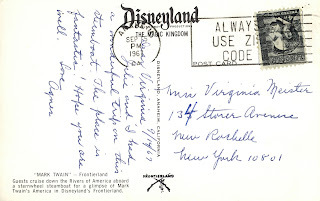 I don't really collect postcards like some fans do, I'm really just interested in the "used" ones. 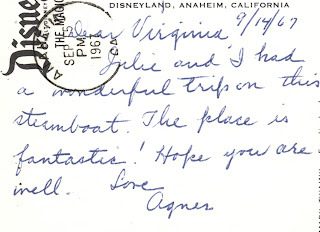 This postcard went from Anaheim all the way to New Rochelle, New York! 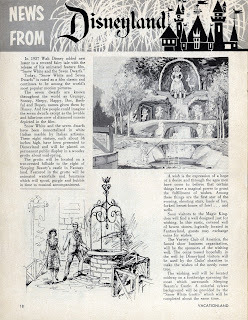 Hey I wonder if Mrs. Meister lived near Rob & Laura Petrie over at 148 Bonnie Meadow Rd.? 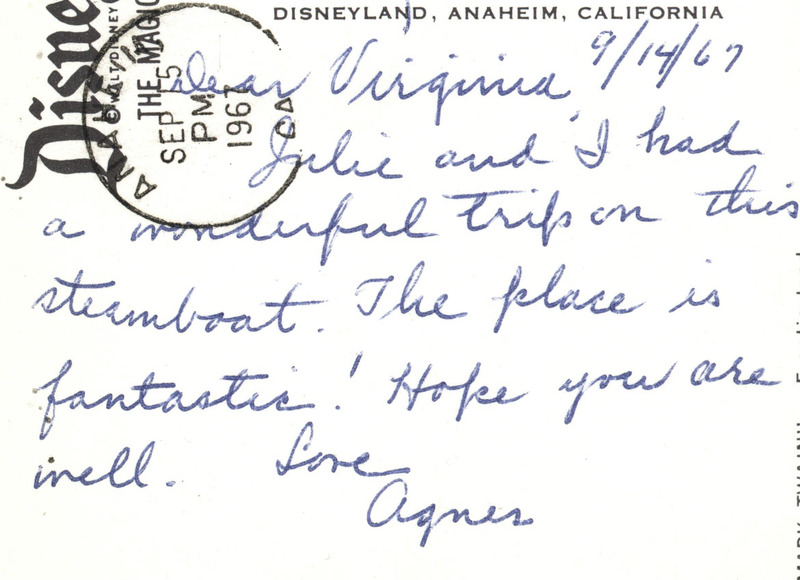 Why do you suppose Agnes wrote her message to Virginia sideways? 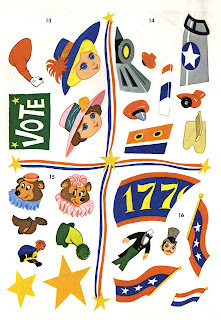 Its time for a fun souvenir, some Sticker Fun! 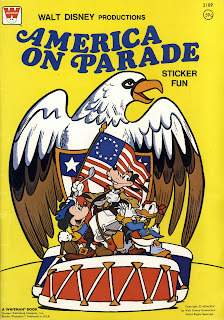 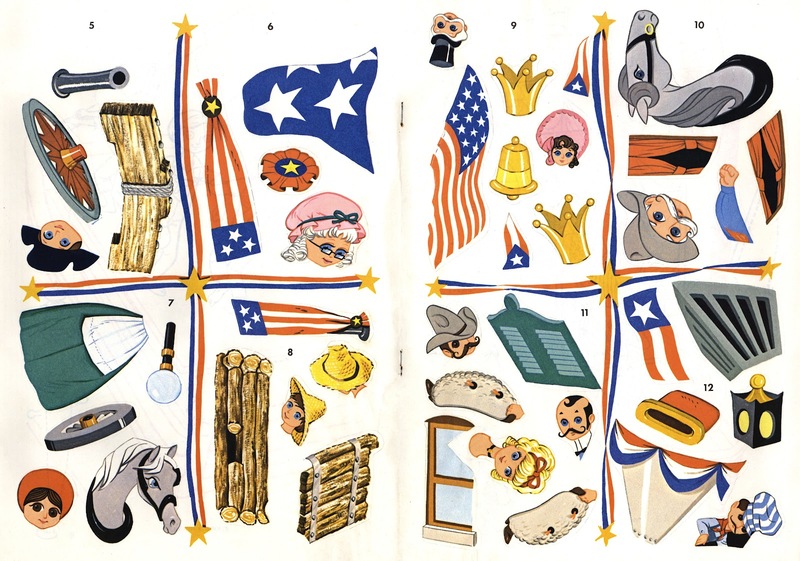 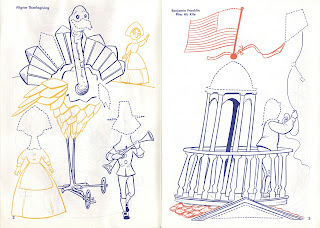 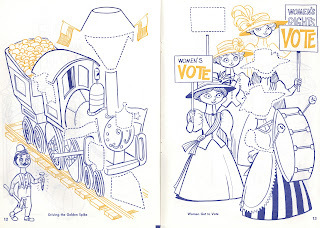 Whitman Books and Walt Disney Productions present America On Parade - Sticker Fun. 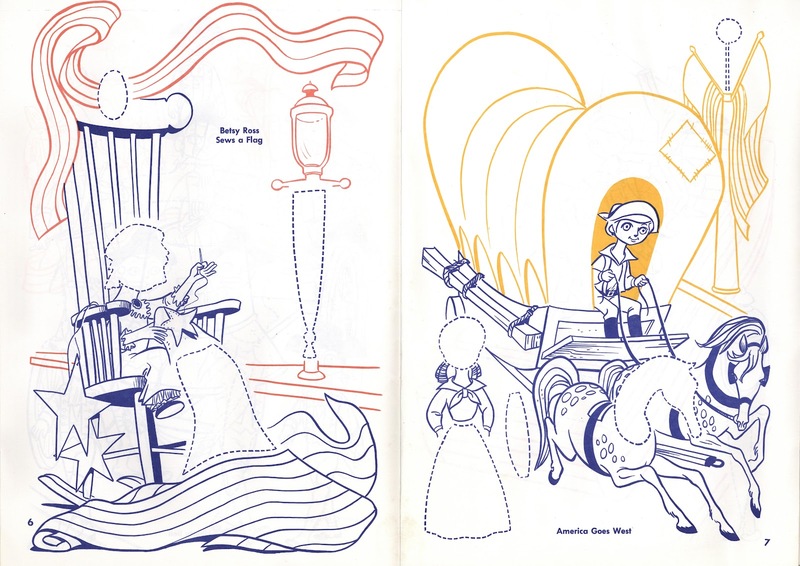 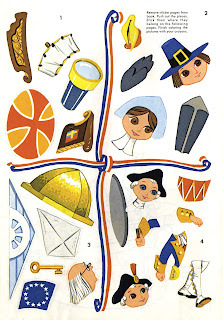 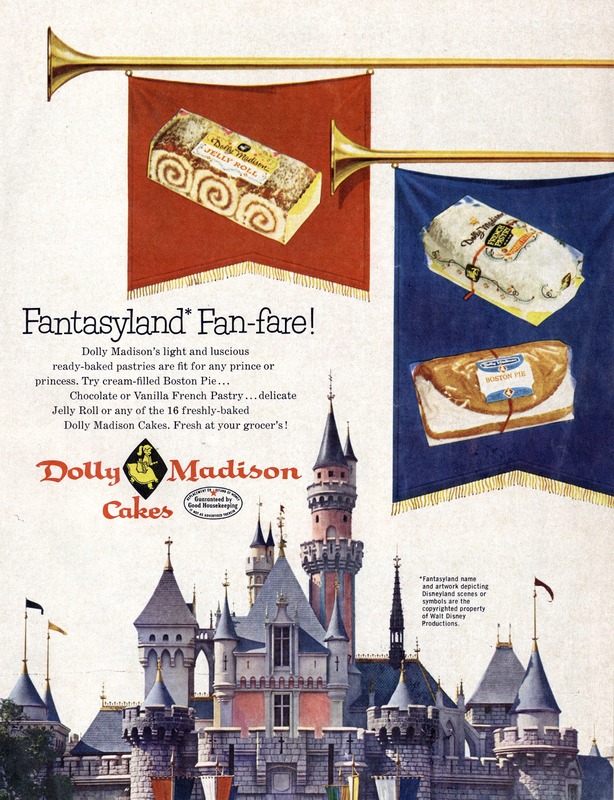 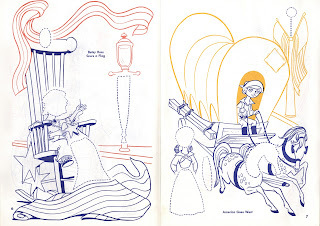 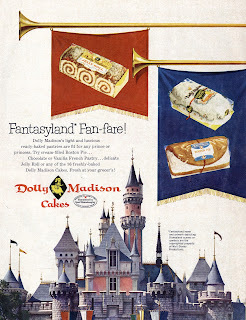 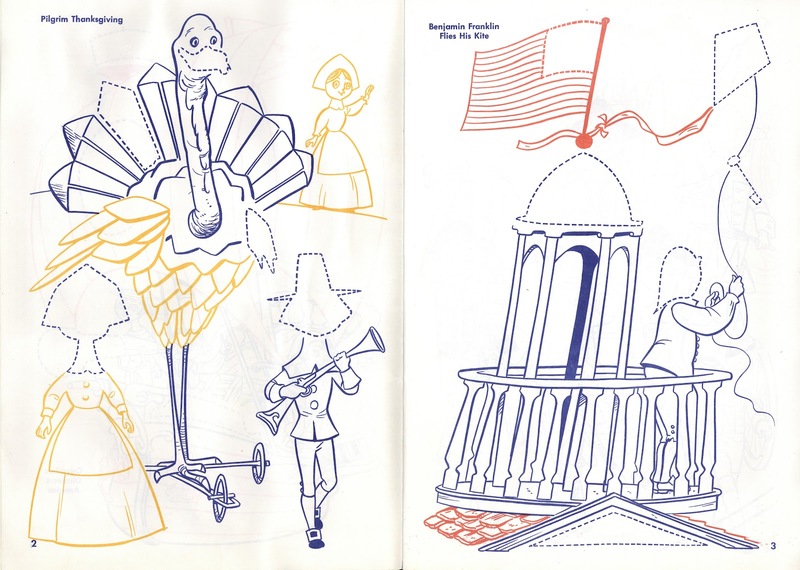 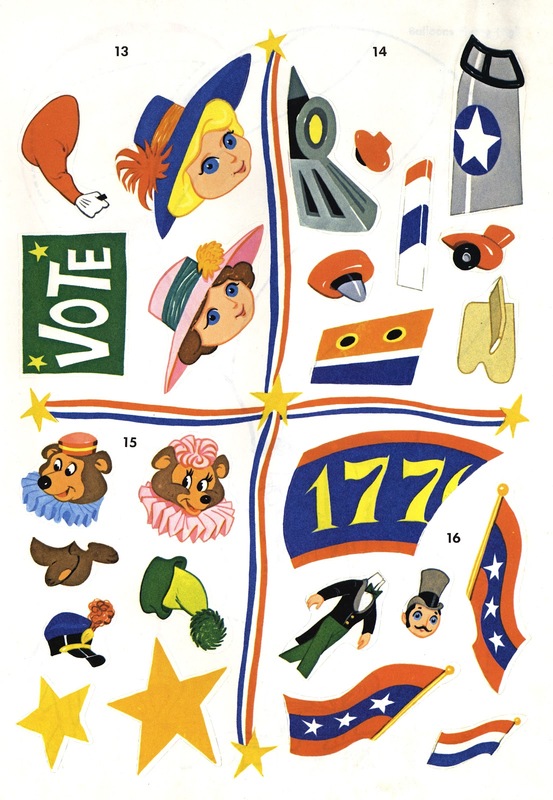 Dated 1975, the parade is nicely represented here. 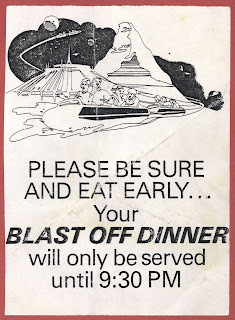 The "stickers" were apparently the type you had to moisten yourself. 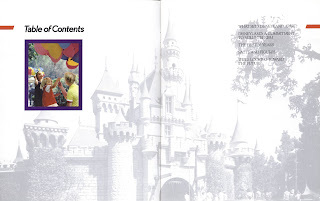 At some point over the last three decades this book must have gotten damp because the stickers, although never used are permanently cemented in there original locations. 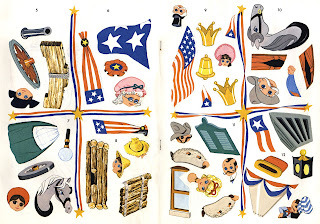 I'm posting the pages somewhat out of order so we can see all the stickers first. 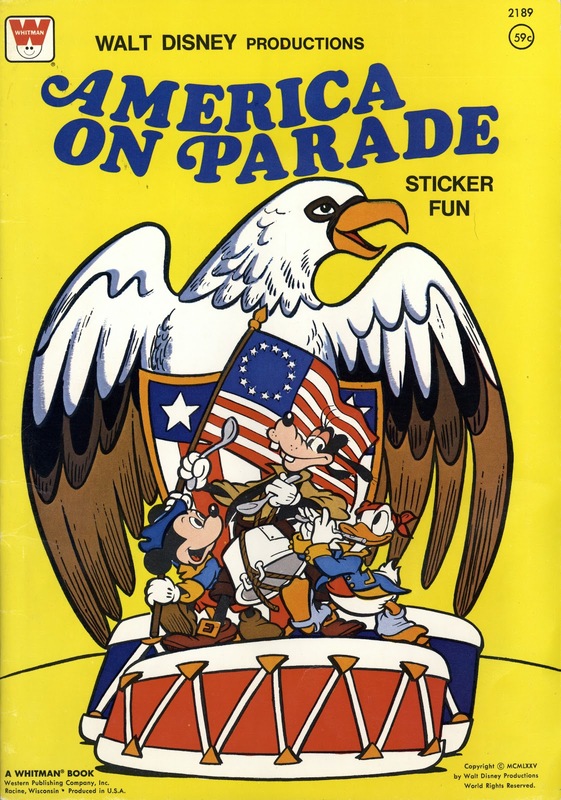 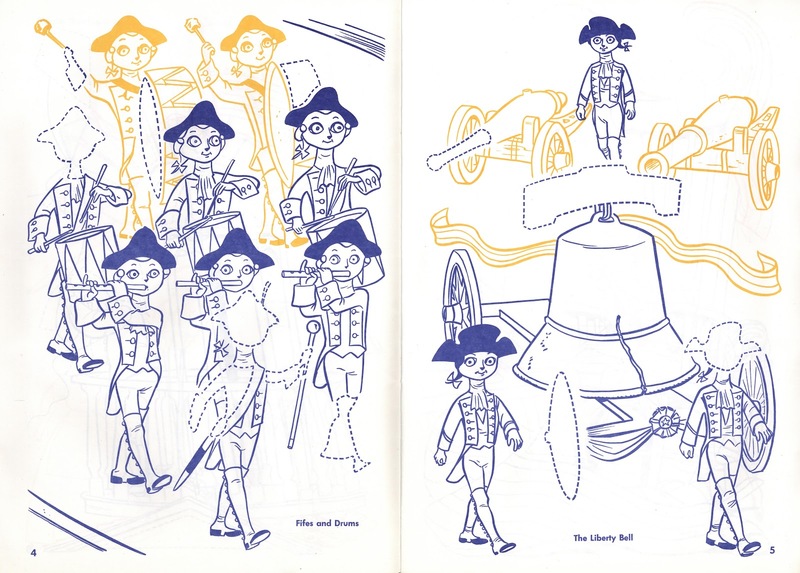 The twelve pages make for a nice showing of the parade. Is it just me or were the dolls heads proportionality larger in actual parade? The back cover turned on its side. 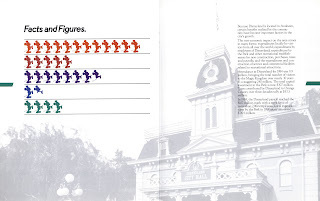 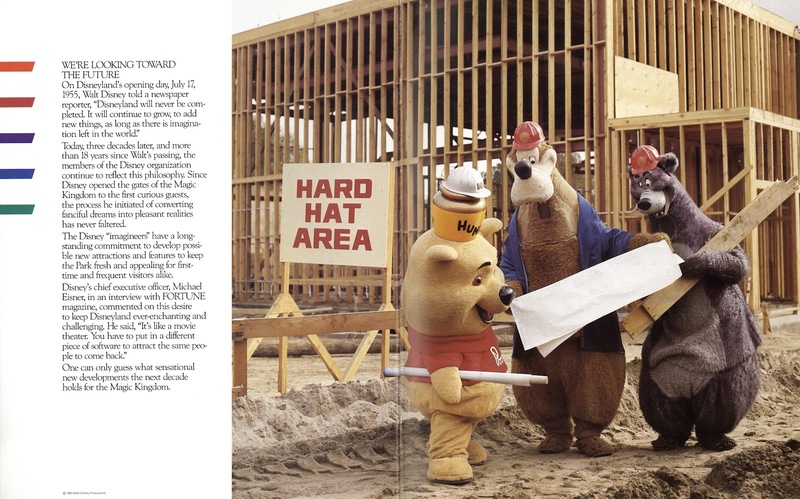 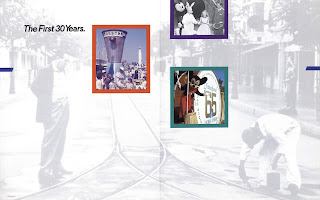 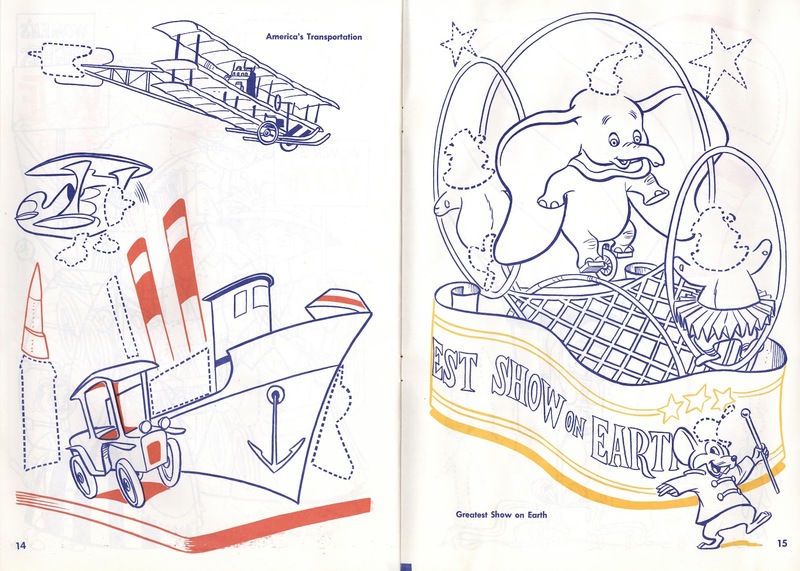 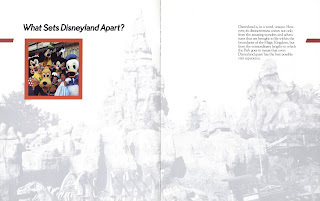 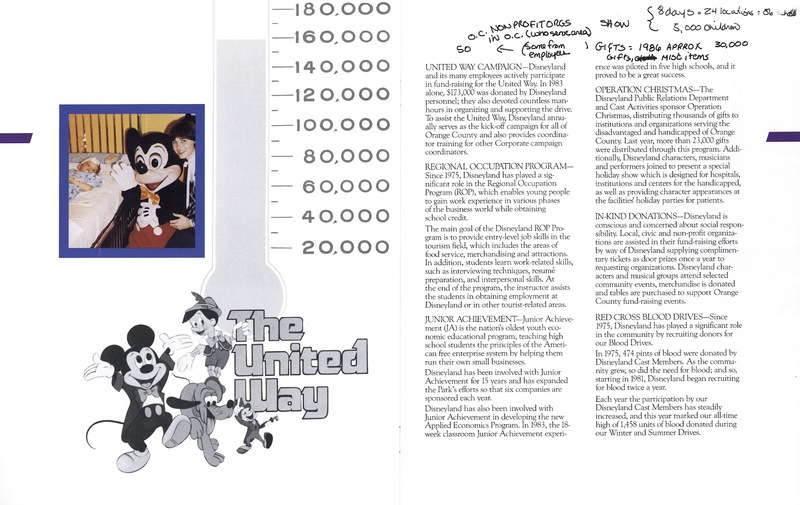 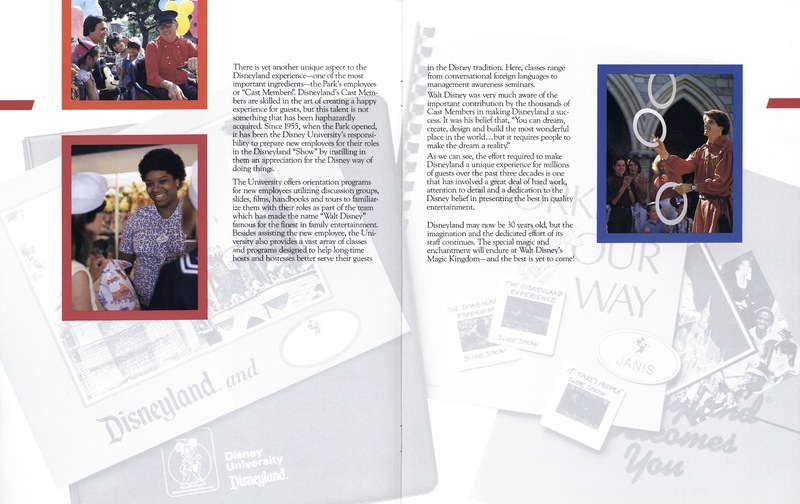 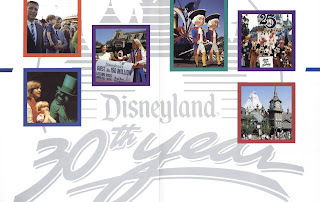 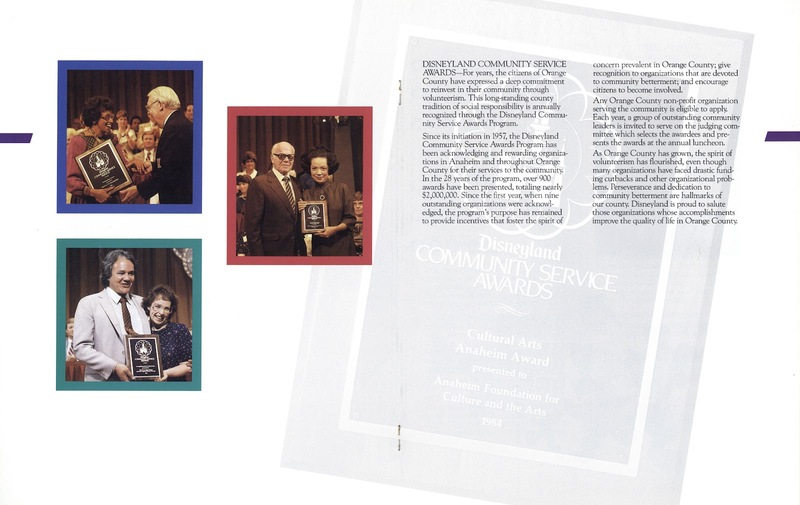 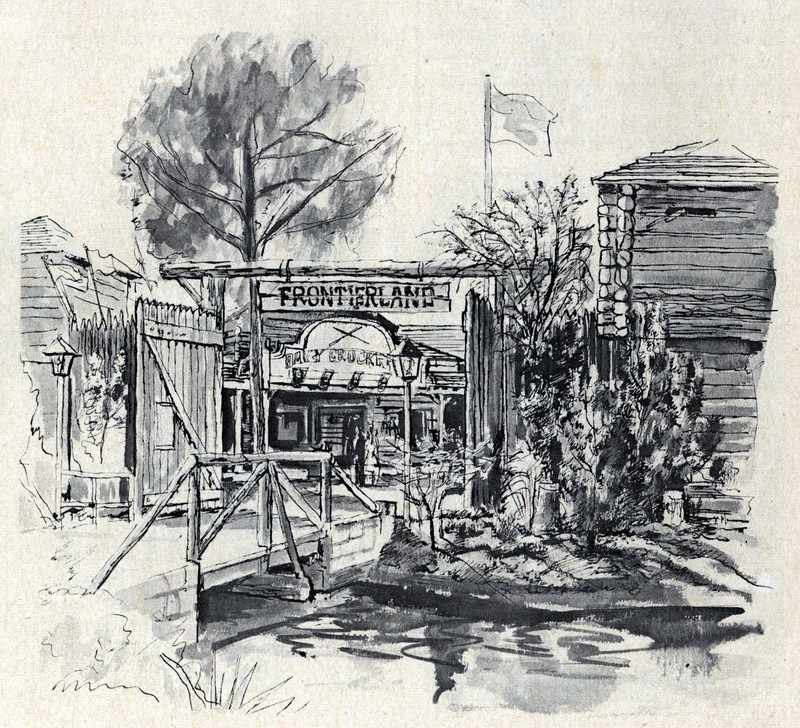 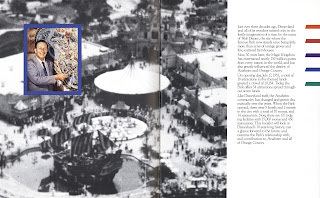 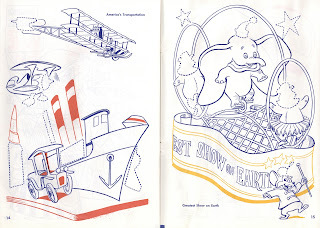 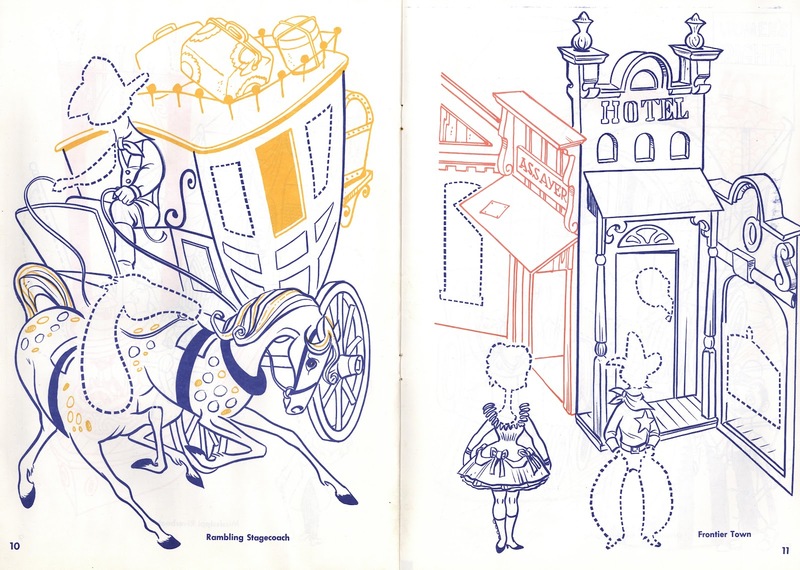 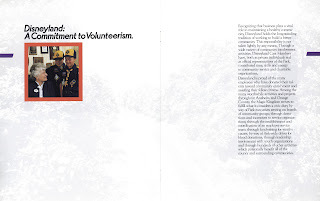 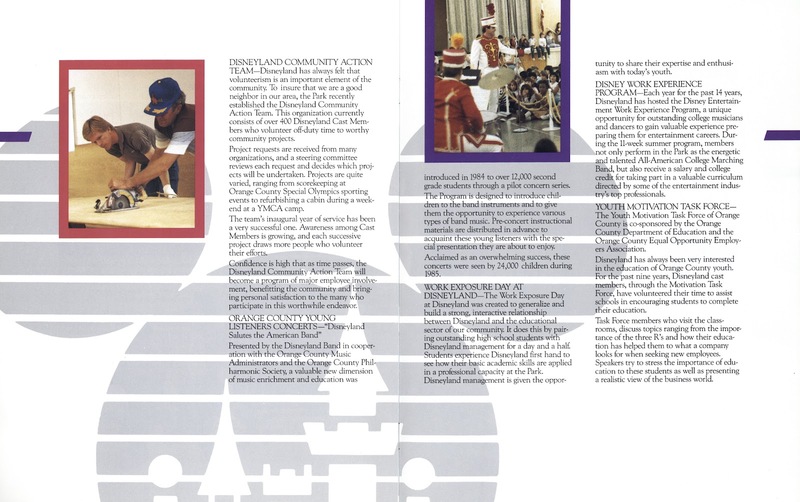 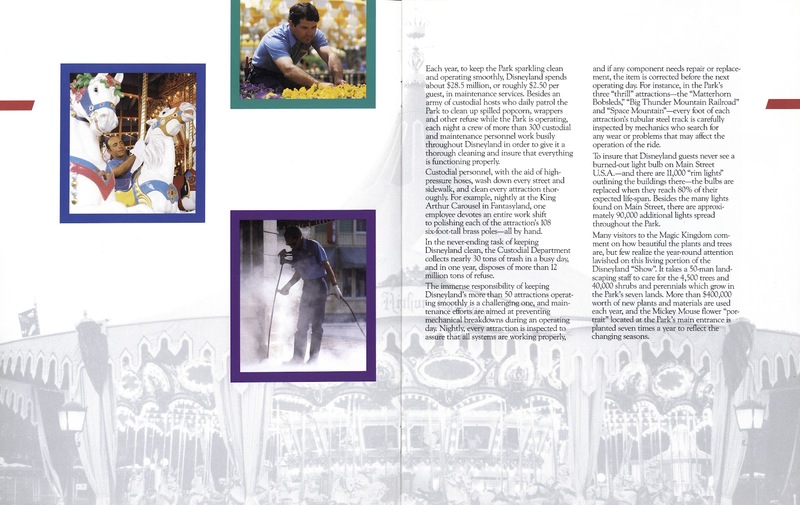 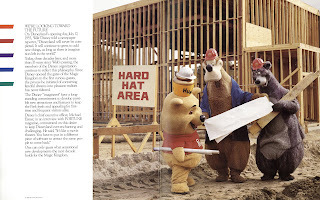 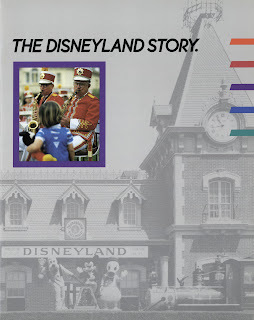 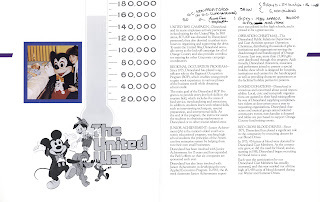 Here's a mildly interesting booklet from 1985 telling "The Disneyland Story". 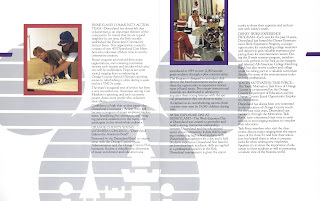 ***Update**** New posts coming soon!